FRANKFURT -- Global deliveries of Volkswagen's core VW-brand vehicles increased by 11.9 percent to 468,300 in July, extending the year-to-date gain by 10.4 percent to 3.26 million. Strong sales in China, Russia and the United States offset a continuing fall in demand from western Europe, where depleted consumer confidence in markets such as Italy, France and Spain is keeping buyers away from showrooms. ''The Volkswagen passenger cars brand has grown global deliveries further despite the continued difficult market situation, above all in western Europe," VW sales chief Christian Klingler said in a statement on Wednesday. The automaker said seven-month VW-brand deliveries in western Europe, excluding Germany, dropped 5.0 percent to 528,200. In VW's German home market, the strongest economy in the region, sales rose 2.5 percent to 361,400. Overall European sales for the brand rose 2.5 percent to 1.05 million. 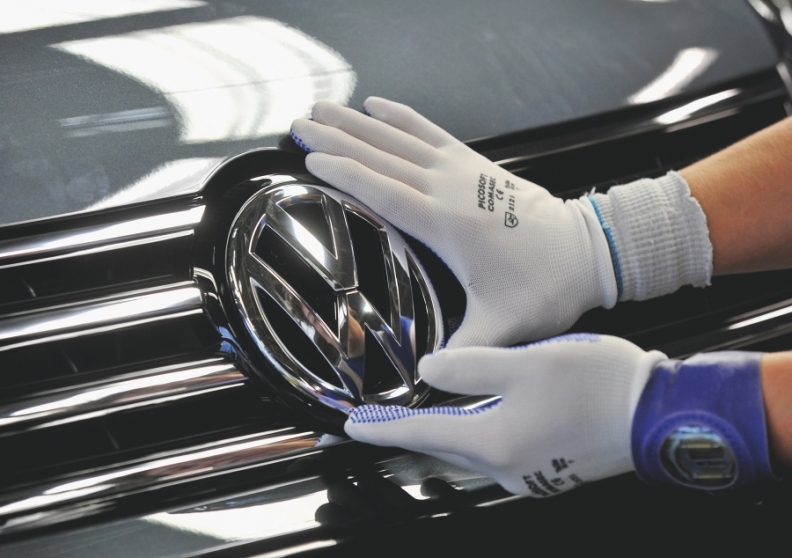 In China, the automaker's biggest single market, VW-brand deliveries increased 15.2 percent to 1.27 million. In the United States, where the automaker says it is spending $4 billion to boost its market share, sales rose 34.1 percent to 245,700, helped in part by local production of the new Passat model. Sales in Russia grew 69.2 percent to 95,600, while in South America, they rose 6.4 percent to 472,700. VW did not issue July sales numbers for individual markets. VW Group aims to pass General Motors Co. to become the world's best-selling automaker by 2018. In 2011, VW sold 8.27 million units, behind GM with 9.05 million and ahead of No. 3 Toyota with 7.95 million.